Flit is bored. And hungry. A tasty mozzie lures him out of his nest. I CAN fly, he calls, before he hits the ground with a THUD. How will he get back to his nest? Join Flit and his friends as they exercise some teamwork. Can they figure out a way to help Flit back to his nest saf... read full description below. There's a new bird in the bush. Flit is bored. And hungry. A tasty mozzie lures him out of his nest. I CAN fly, he calls, before he hits the ground with a THUD. How will he get back to his nest? 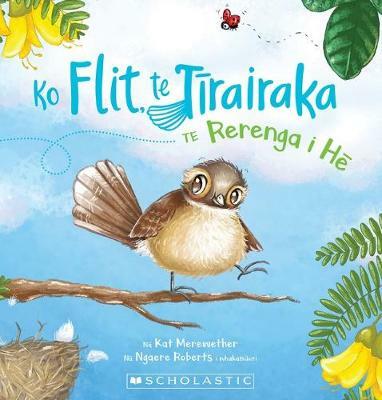 Join Flit and his friends, Kiki the kaka, rascally robins Bit and Bob, Keri the kiwi and wise old Ruru as they exercise some teamwork. Can they figure out a way to help Flit back to his nest safely before Ma and Pa return?